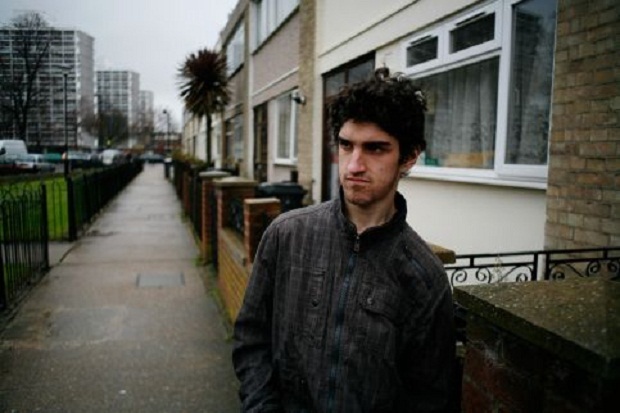 Ceasefire contributor Jody Mcintyre has withdrawn from Channel 4 video series "Bars for Change". In his latest 'Life on Wheels' post, he explains why. I agreed to lead the ‘Bars for Change’ series of films with the intent of giving a voice to young people who find themselves marginalised, discriminated against and ignored. Unfortunately, I spent the duration of the project battling against a television production company, Windfall Films, spear-headed by series producer Christian Broadhurst, intent on pursuing an elitist agenda. This ideology was revealed in the third film they have released, and because of which I am completely condemning it, which amounts to little more than a piece of war propaganda. And here lies the mindset of Windfall Films. As the British government bomb and maim civilians in Muslim countries abroad, Windfall Films choose to focus on “Muslim extremism” at home. To justify this mass slaughter, taking place at our expense and in our name, it is necessary to stir up a hatred and fear of the victims of our violence. The English Defence League, like Muslims Against Crusades, are a product of this; a product of extremist British foreign policy. As the government designate Islam as “the enemy” on a global scale, the EDL turn against Muslims in this country as “the enemy within”. Muslims Against Crusades are nothing more than a handful of people with an opinion inspired by our foreign policy. They are not a tangible entity with the power to murder families, raze cities to the ground, occupy countries, impose laws and define borders. No, that is the British government. So if you want to talk about “extremism”, why don’t you focus your cameras at the ConDem government who are using their extremist policies to evict people from their council homes and giving others four year prison sentences for Facebook posts? No mention was made of the English Defence League’s attacks on bystanders, shops and mosques up and down the country. Instead, they are portrayed as a group trying to “peacefully protest”. The EDL are beating up Muslims on the streets of England, but British soldiers are killing Muslims in Afghanistan. You cannot encourage killing a certain group of people abroad without having a populace willing to be used as cannon fodder. You create that willing populace by constantly pumping them full of propaganda which leads them to believe that their way of life is under threat. In the coming days, I will write more on why I feel films like this are so dangerous. The EDL are a racist and supremacist organisation but, once again, they have been gifted a cloak of legitimacy. « Previous: Counterspin Can journalists blush? Thanks for taking a stand and letting us know. I posted on your website about this any you never allowed the post through – I don’t think insulating yourself from criticism is helpful, or do you think you have the ability to criticise things, but no one has the ability to take you to ask when they think you are mistaken? I am afraid to say that I think now, as I thought then, that you are entirely misreading the issue. Because you didn’t post it, I’ve now lost what I said there, but the gist was essentially that anyone watching the film and reading your reaction to it would see that the reaction seems to have no proximity to the film itself. In what way is this film *in favour* of the EDL? It portrays them consistently as portraying a veneer of respectability while being violent. Far from “gifted a cloak of legitimacy” this is yet another PR own goal for them. If you wanted to make a propaganda film for war then they have failed somewhat. This sort of reaction is sort of thoughtless and doesn’t help any cause. This Jody character has been sucking at the public teat for so long he has nothing but bile to spout. Who is footing the bill for his world travels and phony “demonstrating” ?